The final weekend before Warmind in Destiny 2 is here, which means that Xur's offerings will change bigtime come next weekend. For now, though, he has four items all from the Curse of Osiris expansion for you to spend your marks on, before next week's hopefully new inventory of Exotics. 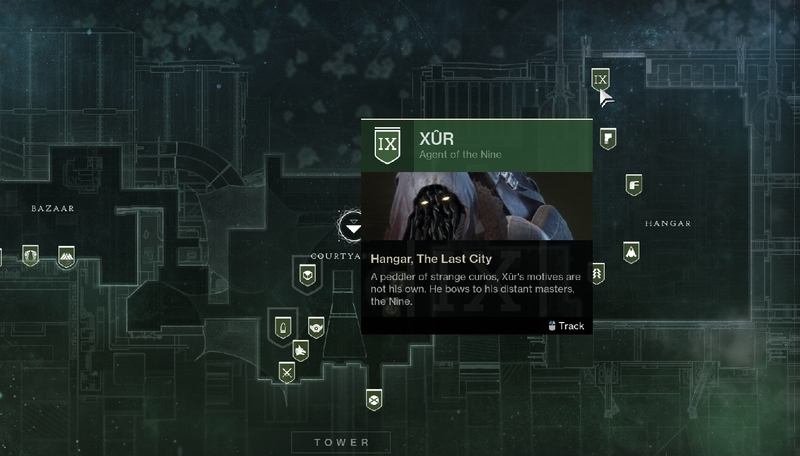 Xur is in the Tower this weekend, in the hangar section on the eastern side of the map, behind the Dead Orbit vendor, Arach Jalaal. This weekend's weapon is The Colony, a fun grenade launcher that shoots insectoid robot grenades that chase their targets and explode in close proximity. The weapon costs 29 Legendary Shards to purchase. For Hunters, this week's armor is Shinobu's Vow. These gauntlets improve your Skip Grenade and give you an additional Skip Grenade charge, making them a good item to equip when using the Bladedancer class. They cost 23 Legendary Shards. This weekend's armor for Titans is Mk. 44 Stand Asides. These are Exotic boots that grant an overshield when sprinting at full health with Seismic Strike, Hammer Strike, or Shield Bash equipped. Hits with those abilities will also recharge a portion of your melee energy. They're on sale for 23 Legendary Shards. Finally, Warlocks get The Stag. This is a deer-like helmet that grants Rift energy when you are critically wounded. Upon your death, it creates a brief healing rift on your corpse. The helm is on sale for 23 Legendary Shards. All three of these armors are from Destiny 1, which is a bit disappointing. 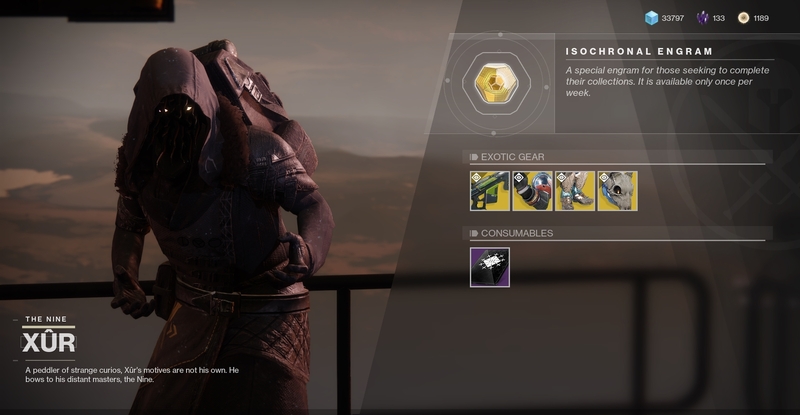 Let's hope Xur's new Warmind Exotics are unique, and not just rehashes from the original game.